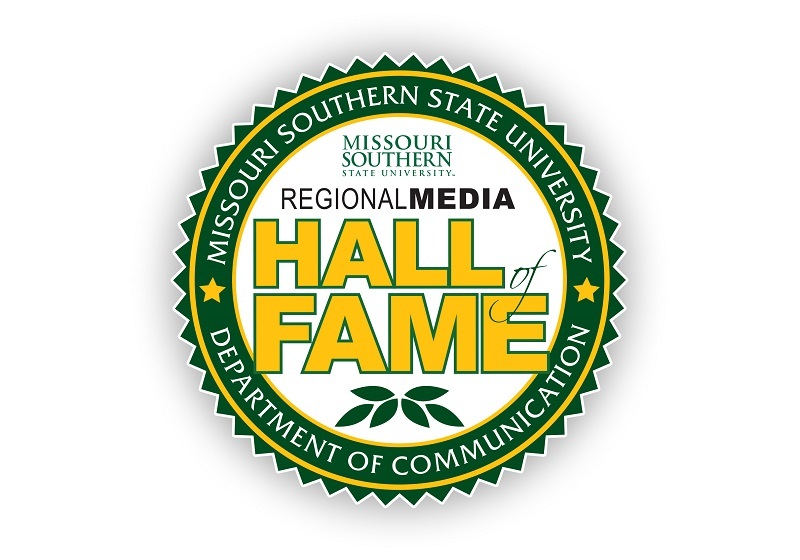 The Regional Media Hall of Fame Awards Dinner will be held at 6 p.m. Thursday, April 6, in Billingsly Student Center’s Connor Ballroom at Missouri Southern State University. The annual awards, which are presented by the Department of Communication, honor media professionals who have made a regional impact throughout their careers. The 2017 recipients are Bob Capps and Bob Mitchell, with the Legacy Award going to Ron Robson, Sr.
“The Regional Media Hall of Fame Awards were established in 2006 by Missouri Southern’s Department of Communication,” said Judy Stiles, general manager of KGCS-TV. “The awards recognize those who have shown the highest level of professionalism and integrity during their careers. Bob Capps had a career in radio and television that spanned more than 50 years. He graduated from Carthage High School in 1952 and worked at the Carthage radio station, later attending Joplin Junior College. He worked at KOAM-TV as one of the first news anchors at that station. In 1954, he attended the University of Denver and worked for KOA radio. He served with U.S. Navy and Armed Forces Radio, including work in Cuba prior to the Cuban revolution. His career then took him to locations around the country. Capps served as news director at WISH Radio in Indianapolis, and at WWDC and WTOP radio stations in Washington, D.C. He worked for national radio networks ABC and NBC in New York in the late 1970s. He was also news director at WPAT radio in Patterson, N.J. In 1983, he returned to the Joplin area and worked for KOAM-TV. He served as Jasper County Eastern District Commissioner from 1985-88 and also worked for Leggett & Platt in Carthage. He returned to radio work at KKOW radio in Pittsburg from 1991-2002. During that time, he was recognized with an award from the Kansas Association of Broadcasters. Bob Mitchell has been involved in the newspaper business in Cassville, Mo., for more than 50 years. He served as owner, editor, and publisher of the Cassville Democrat, and in his retirement continues to write a weekly column. His journalism career began while in the U.S. Navy, attending Navy journalism and public relations schools. After his years of military service, he returned to Cassville to help with the newspaper, which his family started in 1871. During the years he lead the paper, he adjusted to industry changes, including switching to offset printing in the 1960s. His work stressed the importance of community newspapers, and he was active in the Missouri Press Association. Mitchell was very involved in the Cassville community, including work with the Cassville Industrial Development Corporation, Rotary and Chamber of Commerce. He sold the Cassville Democrat in 1995 but remains active with writing and in the community. Legacy Award: Ron Robson, Sr.
Ron Robson, Sr. had a broadcast career in the Joplin region that spanned more than 25 years in the early days of regional media. He was born in 1911 in Pittsburg, Kan., and graduated from Kansas State Teachers College in 1933. He taught and worked as a high school coach in the region. His media career began in 1950 when he was hired to work for KSWM Radio to do play-by-play for football games. He moved to television at the station, which became KODE-TV. Robson held several positions at the station, including newscaster, operations manager and news director. As a newscaster, he presented three newscasts a day, including live commercials. He hosted the interview program “For Your Information,” which featured guests such as Missouri Gov. Warren Hearnes, Joplin actor Robert Cummings and then-actor Ronald Reagan. He became the first full-time Public Information Director at Missouri Southern State College in 1970. His highlights at Southern included covering the 1972 national football championship. After retiring from that position in 1976, he continued work at MSSC as Sports Information Director until retirement in the early 1980s. Robson was active in the Joplin community, serving with organizations such as the Kiwanis Club and Boy Scouts, and as a member of the Joplin School Board. Known as a devoted family man, he passed away in 1998 at the age of 86.